"Let us see presently whether you will deny that you desire to return to your homeland, like a traitor, and to bring your Sovereign to send swarms of Brigands against us in order to subjugate and destroy us?" 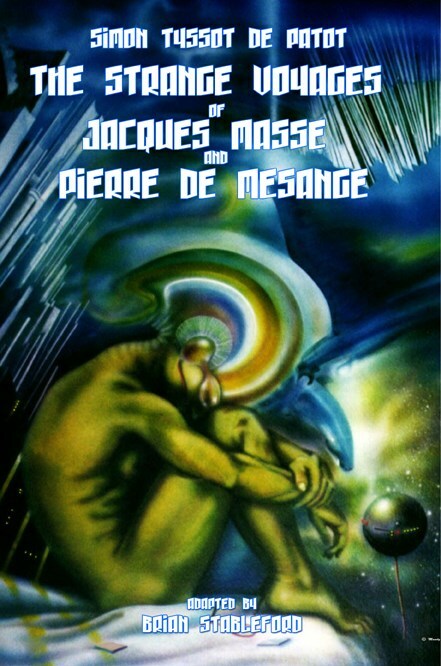 In Voyages and Adventures of Jacques Massé (c.1710), Simon Tyssot de Patot dispatched his protagonist to an imaginary land in an heretofore unknown austral continent, where he comes across a "lost world" utopian civilization inhabited by strange creatures that have survived from prehistoric times. The text also includes an early appearance by the Wandering Jew with a visionary narrative attributed to the folklore of the polar continent, in which a character discovers a subterranean portal to "the abode of the blessed." Finally, in Discoveries in the Region of the North Pole by the Reverend Father Pierre de Mésange (1720), Tyssot's eponymous hero discovers a secret underground kingdom inhabited by the descendants of African colonists who left their homeland four thousand years earlier, and spends several years recording their stories and fables. Written in the early years of the 18th century these two novels constitute is a truly remarkable achievement, marking a highly significant watershed in the evolution of literary accounts of imaginary voyages, predating Jonathan Swift's satirical account of the travels of Lemuel Gulliver, published in 1726, and Jules Verne's classic Journey to the Center of the Earth by 140 years!